SAIDNAYA, SYRIA, October 4, 2008 – A delegation of Americans representing a variety of PC (USA) churches gathered in Syria October 4-6 for an emotional, at times even tearful, encounter with leaders of the five Presbyterian churches in Iraq. The uncertain security situation in Iraq made it impossible for the Americans to travel to Iraq to meet with representatives of the country’s beleaguered and rapidly dwindling Christian community. Instead, the Iraqi church leaders had little choice other than to travel by road to Syria to meet with the Americans. The unprecedented three-day meeting came only days after a deadly car bomb was detonated in the Syrian capital Damascus. Nevertheless, the consultation went ahead as planned October 4-6 at the St. Christophoros Monastery, a Greek Orthodox monastery located in Saidnaya, an ancient town near Damascus with strong biblical associations. The encounter was organized by Marilyn Borst, director of global missions for Peachtree Presbyterian Church in Atlanta, GA, and Rev. Nuhad Tomeh, PC (USA) mission liaison for Syria, Lebanon, Iraq and the Gulf, with assistance from the new ecumenical Iraq Partnership Network. The Iraq Partnership Network was started last year in an effort to provide badly needed assistance to the Iraqi Presbyterian churches. Although the majority of the network’s sixty or so members belong to PC (USA) congregations, the network also includes representation from the Reformed Churches of America and the United Church of Christ. Rev. Dr. Victor Makari, PC (USA) area coordinator for the Middle East and Asia Minor and world mission and one of the participants in the consultation, said that the PC (USA) encourages the creation of such ecumenical networks. “They serve as a way of helping those who would like to initiate mission work to promote common mission goals,” he said. Makari added that the PC (USA) presently supports some thirty-five mission networks in a variety of countries throughout the world. Conference organizers asked those reporting on the consultation or photographing the proceedings to refrain from identifying the Iraqis who attended by their full names, out of concern about possible reprisals upon their return to Iraq. At least two representatives came to the gathering from each of the four cities where the Iraqi Presbyterian churches are located—Baghdad, Basra, Kirkuk and Mosul. 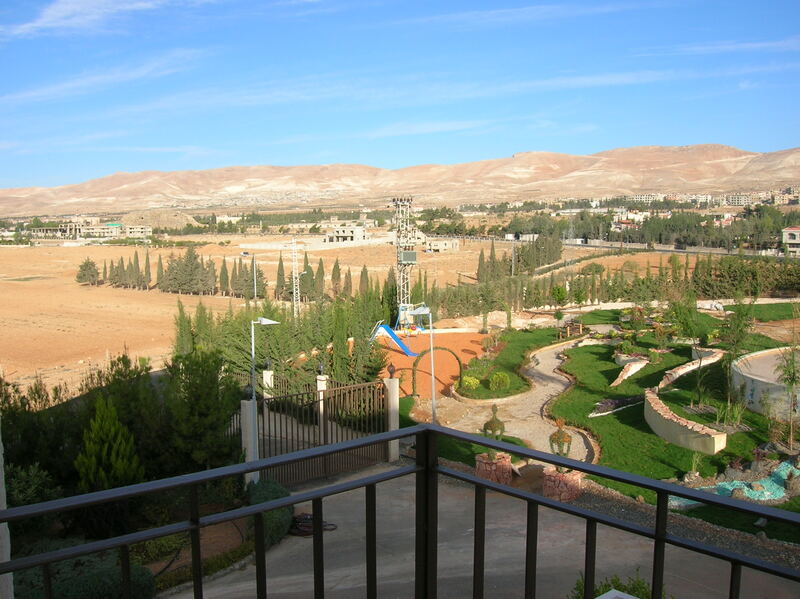 Two other Iraqi Presbyterian leaders came from Jordan, where they are living as refugees. The Iraqis described the dangers and hardships of life in Iraq, along with the special challenges they experience as Christians living under American occupation. Much of the intimidation and violence the Christians endure is carried out by Islamic militias, they said, who have become increasingly intolerant of the miniscule Christian presence in Iraq. Several of the Iraqis said that the tenuous security situation has made it difficult, if not impossible, for the churches to carry out their usual programs and ministries. A series of church bombings and kidnappings, along with the assassination of at least one church elder, has prompted a wave of emigration, which is seen by many as the biggest threat to the Christian presence in Iraq. Before the war Christians numbered approximately 1.5 million out of Iraq’s total population of twenty-five million. Today, as an Iraqi Presbyterian from Basra put it, “It would be a miracle to find 500,000 Christians left in Iraq.” Thousands of Iraqi Christians have emigrated to Lebanon, Jordan and Syria, while others have gone further afield, to places such as the United States and Canada. During the conference participants pinpointed three major steps that they felt would help safeguard the Christian presence in Iraq while also possibly slowing the wave of emigration that has been accelerating alarmingly in the years since the American invasion. The first step, the Iraqis said, if the churches are going to remain alive and fully functioning, is to train new pastors. At present four of the five Presbyterian churches in Iraq are operating without a permanent pastor. 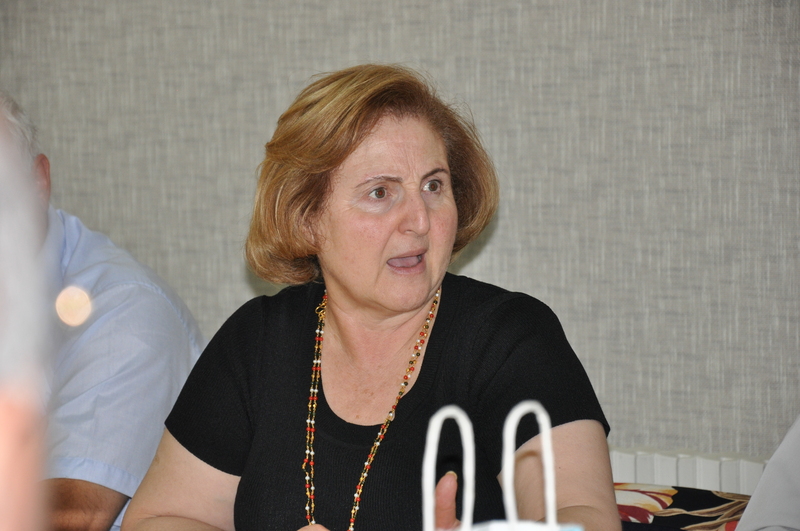 Upon hearing this request, Dr. Mary Mikael, the president of the Near East School of Theology in Beirut, responded by offering to reserve five places at the seminary for qualified Iraqi candidates. Dr. Makari later challenged the Iraq Partnership Network to make raising tuition money to send the Iraqi candidates to the seminary one of its top priorities. The Iraqis said they are also in need of training for elders and other church leaders, including youth leaders and Sunday school teachers.Dr. Mikael pointed out that such training could be carried out through various programs offered at the NEST.